Surfside on Lake Superior attracts owners from a wide range of ages, locations and professional backgrounds. What they all have in common is their love for Lake Superior’s North Shore and Surfside Resort. Learn more about what draws people to own at Surfside on Lake Superior from the owners themselves. Many of owners are available to answer questions about owning property at Surfside. To connect with them, contact our sales associate Eric Frost in the form located in the sidebar. We both have long associations with the North Shore – Betty from watching her one-year-old toddle over the rocks at Olson’s Motel in Tofte (long before it morphed into Bluefin Bay!) and Bob from bringing his family here for summer fishing extravaganzas. When we married in 2005, we discovered our common love for the shore and have visited every summer since. Last August while staying at Bluefin Bay, we went for a walk and stumbled onto Surfside. One look and we knew we were home. Now here we are, bringing our combined six children, their spouses, and our nine grandchildren to scramble over the rocks and climb up the rivers to find waterfalls. Having begun our visits to the North Shore in 2008, we were quick to realize that Surfside would be our second “home.” After a wonderful summer week with our family and a weekend fall getaway for our anniversary in 2009, we made the decision to buy. We love coming up to Surfside in all the seasons, and have been able to spend almost every holiday at Surfside. We enjoy the fabulous hiking, biking, golf and skiing that the area offers. Of course, our kids, Ben, Maggie and Rebecca, love the pool and skipping rocks, and we all love the many nearby excursions such as Grand Marais, Split Rock and Gooseberry Falls, as well as the many fun activities Bluefin Bay offers. Mostly, though, we love watching and hearing the “greatest” lake from the solitude of our beautiful unit, and hanging out as a family watching movies and playing games. We have brought many friends and family members with us to enjoy this wonderful area and our spacious unit. They all rave about Surfside! With the craziness of our daily lives 10 hours away in Kansas City, Missouri, one of our greatest joys is looking forward to any time we can break away to Surfside on Lake Superior and add to our family’s vacation memories. Dale and I are from Iowa, where Dale is in agricultural sales and I am a nurse. We made our first trip to the NorthShore after friends encouraged us to vacation there. This was in 2002 and we have been going back 1 to 3 times a year ever since.The place is magical, as it slows you down and gives you time to think and reconnect with what is important in life. The flames of a fire, the waves of the lake, or the smell of the forest is like none other. So why buy at Surfside? Over the years we have stayed at various places, but love the location of Surfside. Within a day, you can travel to all locations along the shore and come back to your home away from home for the night. 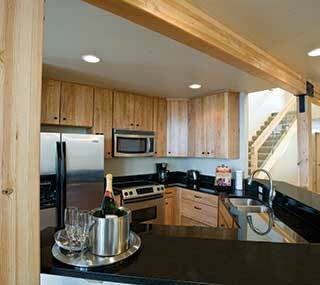 The fractional ownership at Surfside was affordable for us. We have worked hard and we finally used some of our money to enjoy a “masterpiece” that changes with each season and each day. We live at a distance and Surfside allows us to own a 2nd home without the worries of day to day upkeep. We know that someone is watching over it when we are not there. The view of the lake from the townhouse is picture-perfect in all seasons and weather. The interior is cozy, as the 3 level floor plan allows for togetherness in the dining/living area along with “getaway” space for alone time. Having a dog friendly unit was also important to us, so the grand-dog can join in the family festivities. We always look forward to our time on the NorthShore. We have made great memories at Surfside with our family and friends. The views are amazing, the people are friendly, and the time we spend there goes by way too fast! Since first visiting in 2007, the North Shore has become a tradition in my family. With so many activities to participate in as well as quiet places to rest and reflect, this part of northern Minnesota is an ideal get away. The Surfside on Lake Superior provides the perfect accommodations whether it is just my husband and I or the entire extended family. The memories I have from my stays at Surfside are cherished ones; quiet mornings watching the sun rise over the lake with a cup of hot coffee and pastry from Coho Bakery, opening Christmas presents by the fire after an afternoon of guided cross country skiing (thanks Bluefin), catching yourself falling asleep during a massage at the onsite spa, preparing dinner for the family as they play cards in the living room, watching my four legged friend Molly the Bernese Mountain dog bound through the snow and right into the lake, warming up in the hot tub after a day of snowmobiling, and falling asleep to the sound of the waves against the rocks… to name a few. I look forward to this list of memories growing as my family continues traveling to Surfside on Lake Superior for many years to come. Surfside Resort was originally built in 1928 by Mr. Swanson, who was superintendent of schools and ran the business seasonally. My late husband Rick and I first came to the North Shore in September 1963. He had always wanted his own business, and liked the look of Surfside – that is until we looked more closely. We bought the resort without looking at the accounting records or examining the buildings, and soon realized we had purchased a lot of work! The next year we put it on the market and tried to sell, but there were no buyers. So, we worked like crazy and came to enjoy the business. Rick was a veteran of WWII serving in the South Pacific, an experience that took a toll on his health landing him in and out of VA hospitals. He passed away in 1983, and I was left to deal with the business. Room rates at the time were $5 to $9 per night, so there was never much money to care for the aging resort. At one point, my sister’s five children came to live with us on the shore and became my partners in running the resort. In 1992, I turned the business over to my nephew, Joel and his wife Katherine, and headed to Slovakia to teach English to Slovakian doctors and nurses. I came to love travel and have since taught in Poland, Italy, Spain, Vietnam and Cook Island in the South Pacific. In 2005, I finally decided to sell Surfside, and eventually connected with Dennis Rysdahl (whom I had known as a friendly competitor from Bluefin Bay). We came to an agreement that I would take part of the sale price in cash and part in trade for several quarter shares. I have been very happy with the way the new Surfside on Lake Superior was planned and built, and that the name was retained. When the economy went sour in the fall of 2008, I watched my other investments drop in value and became happier still that I own something with lasting value, like Surfside on Lake Superior. For us, Lake Superior means reconnecting with what is important in life – family, friends, and nature – and feeling a sense of peace that only comes with the big lake. In our busy, hectic lives, we chose to commit to regular trips to the North Shore to recharge our spirits. Committing to us meant buying. When we were trying to make the decision to rent regularly or buy, someone asked us if it would feel differently if we owned the place. It does. It feels like home – only better. We make the trip from the Twin Cities about four times a year – once for every season because there is something unique to love about this place in each one. We contemplated a cabin, but our vacation time is too limited to spend working. Surfside takes all the work out of ownership. And, we don’t have the guilt of not getting to a cabin enough because it’s being rented and maintained when we’re not there. So, here we are – loving the skiing, hiking, walks along the shore, campfires, swims, family board games, and the wonderful conversations over a glass of wine while enjoying the most amazing views from our favorite deck (we’re still trying decide which one that is!). Mary and I [Dave] are native Minnesotans, although Dave lived on the East coast for 15 years. We met in an airport shuttle van in New Orleans and the rest is history. Mary was a human resources manager with U.S. Bank and I owned an electronics company. Our family includes four children and eight grandchildren. After retiring we traveled for a number of years and then bought a winter vacation home in Arizona. We enjoyed being away from the Minnesota winters for five months each year. After we decided to sell our AZ residence, we’re back to more high adventure traveling. We had been Bluefin Bay customers for many years. The Surfside on Lake Superior fractional ownership is ideal for us – no maintenance, utility bills, or the need to have someone watch over the property when we are not there. 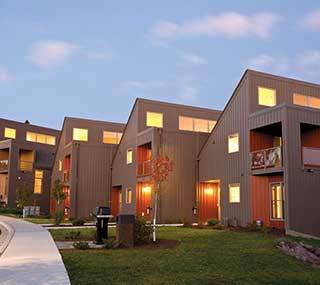 Surfside on Lake Superior provides the opportunity to use the unit throughout the seasons. The views are outstanding and the availability of hiking, biking and just hanging out with friends and family or curling up with a good book makes for a relaxing getaway. We’ve always enjoyed the North Shore. Surfside on Lake Superior feels like coming home. We’re from Cold Spring, MN, and have owned at Surfside since 2007. George is a Civil Engineering Graduate of the University of Minnesota, and served as CEO of Braun Intertec where he currently is Chairman of the Board and Executive Vice President. We chose to purchase at Surfside on Lake Superior because of the proximity of the units to the lakefront, the quality of the resort and Waves of Superior Spa, and the fact that it is located close to a variety of North Shore activities we enjoy. We have visited the North Shore several times a year, mostly in winter, for many years. We especially love snowmobiling, skiing, snowboarding, hiking, and golfing. Fishing is also on our “to do” list! Fractional ownership is a great option for us as it allows us to increase the time we can spend up north. We love the ever changing beauty of the lake and the design of the Surfside units. Ownership at Surfside on Lake Superior has allowed us to drive to the North Shore and immediately enjoy all of the amenities of Surfside and the surrounding area upon our arrival. We have enjoyed sharing our time with our family and friends who are always impressed and inspired by the awe inspiring beauty of Lake Superior. Born and raised in Minnesota, we moved to New York City in 1980 — a far cry from the serenity of the northlands. But, surprisingly, not all that much different from the peaceful calm of Long Island’s Fire Island, where we often vacationed. When we returned to Minnesota, we saw an ad for Bluefin Bay and headed there for the first time. 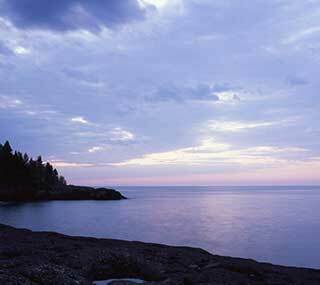 When we arrived, Lake Superior was in tumult and we began to call it our new ocean. We were so impressed with the management of Bluefin Bay and thought the business model was smart for both Bluefin’s owners, as well as its management firm. We quickly became fans and friends of Bluefin Bay. What convinced us to buy? Tofte Management Company — we were always impressed with their dedication and service, and their attention to detail. Bluefin Bay was constructed in the early 80’s and has always been so well maintained. Plus, we knew we would never be able to go to a lake every weekend, so the ¼ ownership was ideal. We took the leap of faith, as the markets went south we went north! After six years of annual family trips to various properties along the Lake Superior Shore, we stumbled on a new project, Surfside on Superior. We attempted to plan our 2008 summer weekend at Bluefin Bay, but they unfortunately were booked. They did, however, suggest their new property one mile south – Surfside on Lake Superior. We took their advice and on first impression, were somewhat hesitant driving into the resort – it looked like a construction zone. Open and still being constructed, we checked in and realized we had discovered something special. Firmly based in the Twin Cities, we are owners of Wal-Zon Transfer, Inc. and Ilaug Conference Resources, respectively. Jessica, 17, a student at the St. Paul Conservatory of Performing Arts, Sara, 15, student at Cretin-Derham and Eric, 10 and Isabelle, 8, are students at Nativity of our Lord in St. Paul. We’re all happy to be owners of one of the newest and finest properties on the North Shore. With the shoreline view, the interior design and layout, we definitely see this as our second home. Hiking, kayaking, rock climbing and relaxing by the shore are what we enjoy, and the Tofte area accommodates it all. Approaching three years of ownership, our expectations have been exceeded by the management and services of Surfside on Lake Superior. We’re Jerry and Karen Appeldoorn from Northfield, MN, home of cows, colleges, and contentment. Jerry is a dentist and Karen is a retired science educator and we’ve been married for 42 years. Our family consists of two daughters, two sons-in-law, and three grandkids. We’ve always enjoyed the North Shore and have visited at least once a year since the ‘70s. We got a brochure in the mail about Surfside on Lake Superior and were struck by the architecture. We visited four times the following year. It’s everything we’ve always dreamed of owning. The view from our town home is wonderful — we like to sit in the living room and read or do puzzles. We bring our dogs and go for walks and bike on the trails nearby. The location of Surfside on Lake Superior works well for us: it is quiet and not far from Tofte, Coho Café & Bakery, and Bluefin Bay. We can easily take day trips to Grand Marais. Though we’ve lived in Minnesota for many year, neither of us are natives. Dave grew up in New Mexico, moved with his family to North Dakota, then went to school in Duluth. Anne is orginally from Southern California, and moved to the Twin Cities at age 11. The two of us started visiting the North Shore in th early 90’s. We mostly stayed up at the Gunflint Trail, and enjoyed the wilderness and the wonderful cross country ski trails. Then we started staying along Lake Superior, and it kept drawing us back. It’s the next best thing to the ocean that Anne still misses! In the summer of 2010, we saw an ad for an open house at Surfside on Lake Superior and decided to check it out. We loved the architecture and decided that this would be the place we would stay the next time we returned. Later that year, we booked our reservation and from then on we were hooked. Owning at Surfside has been a dream come true for us. We love that the architecture is designed to emphasize the lake views and the privacy of the guests. We also love that we can bring our dog, who is an important part of our family! I [Dave] have lived in Minnesota my entire life. My wife, Junie, was born in Jamaica. We have five children and three grandchildren. I am a CPA by trade, and worked as a business director in education. Junie is a Healing Touch practitioner, volunteering at Woodwinds Hospital. We were camping just down the road from Surfside on Lake Superior and decided to take down the resort’s number. Over six months, we visited five different resorts from Two Harbors to Tofte but kept coming back to Surfside. When we were standing in the townhome overlooking Lake Superior, my wife commented that the view reminded her of one of her favorite places in Jamaica. We were sold. Surfside to us is “first class,” from the craftsmanship of the construction, to the location right along the North Shore. We enjoy the hiking, biking, visits to our favorite little restaurant, the Coho Café 7 Bakery and more. We enjoy the Tofte area, where the people are always friendly. The area has its own special vitality and warmth, which adds to our Surfside experience.